The 2008 military reform programme in Russia was launched to address the technological and organisational weaknesses of the Russian military which became particularly visible during the Russia-Georgia war. The programme has been focused on the update of military hardware as well as enhancement of combat readiness for local and large scale engagement operations through structural and organisational improvements across all branches of the Russian army. The implementation of the reform has required a significant increase in military expenditure which grew from 1.5 per cent to around 6 per cent in 2015. Nevertheless, due to a sudden decrease in oil prices, Russia as an oil revenue-dependent country has recently decided to cut its military expenditure within the next couple of years. This situation has led to the readjustment of funding initially planned to be allocated for the large-scale 2020 rearmament programme which was approved in 2011. In this regard, the programme was initially expected to amount to $650 billion which would be used to replace two thirds of Russia’s outdated military hardware by a modern one. In spite of unfavorable economic situation in Russia which could slow down the implementation of such an ambitious programme, it is still expected that reforms on improving combat readiness, mobility, and firepower will remain unchanged. Since the 2008 military reform was launched in Russia, there have been visible signs of improvement as to the operational capacity and combat preparedness of the Russian military. It could be observed in four areas such as command and control, force structure, responsiveness, and readiness. With regard to command and control, Soviet-inherited military districts were replaced by four joint strategic districts: the Western, Southern, Central, and Eastern ones. These districts are meant to perform logistical and administrative functions within their designated joint operational staff. The key incentive of this recent transformation is to ensure a better command and control not only over the ground forces but also of the Air and Navy forces. In terms of transformation of force structure, the cumbersome divisions usually involved in fighting on a long frontline were disbanded in 2009 to be replaced by smaller in size but more agile and better prepared brigades. Such transformation was intended to improve mobility and make it possible to conduct smaller-scale operations by more equipped and mobile military units. Furthermore, since 2014, Russia has worked on establishing a pool of rapid deployment forces which would include special operation units, Airborne Forces, and other relevant brigades. In 2015, the objective of creating such forces was reiterated, but with additional clarifications concerning their total number and structure. It was stated that they would consist of approximately seventy thousand combat forces and would be based on the Russian Airborne Forces. Russia believes that it is of utter importance to develop such rapid reaction mechanisms to counteract NATO plans of rapid deployment forces in Eastern Europe and the Baltic region. 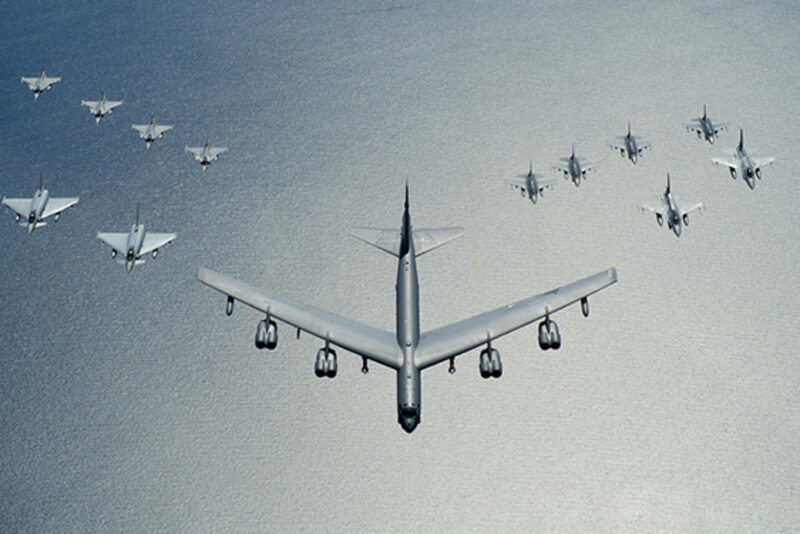 Russia’s plans have already raised concerns among the NATO leadership with regard to the country’s improved military capabilities. As a result, in July 2015 NATO leaders have reached an agreement on increasing the number of deployed military forces in eastern Poland and the Baltic states to deter a potential Russian aggression. In terms of progress in the development of special operations forces, poor performance of special operations units of Russia’s Main Intelligence Directorate in the 2008 Russia-Georgia war led to the implementation of measures which would reorganise them and make them more capable for engagement in small-scale military operations. Since the beginning of the Russian military reform programme in 2008, there has been an improvement of special operations forces under the control of military, security, and intelligence structures (e.g. Federal Security Service, Foreign Intelligence Service, 45th Special Forces Regiment of the Airborne troops) due to new equipment, more effective training, and coordination improvement. Moreover, the Special Operations Command modeled on the US Delta Force was formed in 2012. It consists of five special operations divisions with a total number of 1500 troops and could serve as an effective instrument in small-scale operations. With the beginning of its engagement in Ukraine, it has become possible for Russia to test the combat efficiency and responsiveness of the Special Operations Command and other special operations forces. In the course of Russia’s annexation of Crimea, they demonstrated excellent mobility and coordination of all units by seizing important strategic government buildings and taking control over the Crimean peninsula while making it difficult for the Ukrainian military personnel to respond to their actions. 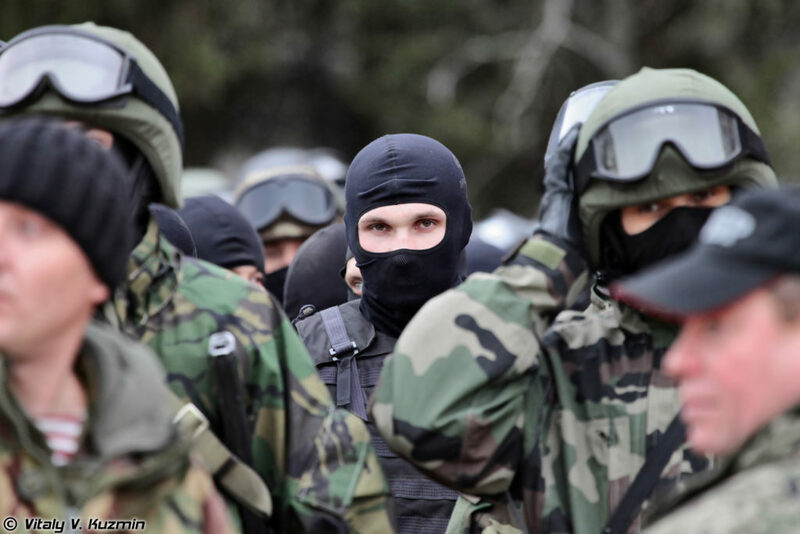 During the ongoing destabilisation activities in eastern Ukraine, special operations forces have acted in a more covert manner by training and coordinating local pro-Russian insurgents as well as providing them with relevant equipment and reconnaissance. The annual large-scale strategic and snap exercises have been another important factor in improving Russia’s overall military preparedness. Since 2013, large-scale strategic exercises have been aimed at training mobile crisis response units to effectively handle such unconventional adversaries as terrorists and insurgents, and enhancing overall military response to standard conventional challenges. They have also been conducted to improve interoperability of military units by training them to plan and conduct operations in a more cohesive and effective manner. Snap exercises are scheduled without any prior notification and carry the notion of surprise to test the combat readiness of Russia’s armed forces. Simultaneously, these exercises make it possible to challenge the deployment and mobility of Russian military by engaging all branches of Russian army in the battlefield. Recently, a benchmark of 65 thousand troops, which could be deployed over a distance of 3 thousand kilometers in less than 72 hours as part of snap exercises, has been established by the Russian General Staff. The most recent snap exercise was conducted on August 15th – 31st 2016 and involved the Russian Army Units, Navy’s Northern Fleet, and Air Force Troops. Its main goal was to assess Russian military preparedness and rapid response capabilities in the changing security environment. This snap exercise was then followed by a large-scale strategic exercise called Kavkaz-2016 in the Southern Military District. Kavkaz-2016 drew on Russia’s recent experience in Syria by including elements of massive air strike, interaction with the territorial defense units and the involvement of Russia’s information operations forces. Moreover, the Kavkaz-2016 strategic exercise involved training in techniques of informational struggle and combined common efforts of the Operational Department of the General Staff, sub-units of radio-electronic warfare and information operations forces. It was the first engagement of information operations forces in such an exercise since their creation by the Russian General Staff in May 2014. These forces were formed with a view to protect Russian military command and control systems from any potential cyber-attack. They consist of well-prepared specialists including engineers, IT specialists, language experts, etc. Finally, the formation of the Russian National Defense Control Center in December 2014 has been perceived as the most important innovation since the beginning of the 2008 military reform in Russia. The Center’s central responsibility is to maintain a centralised combat control of the Russian Armed Forces and analyse comprehensive data on military and political developments in the country and overseas. To this end, it integrates different information flows into a unified information channel and makes it possible to combine and supervise efforts of the key state institutions such as the Ministry of Defense, General Staff, etc. 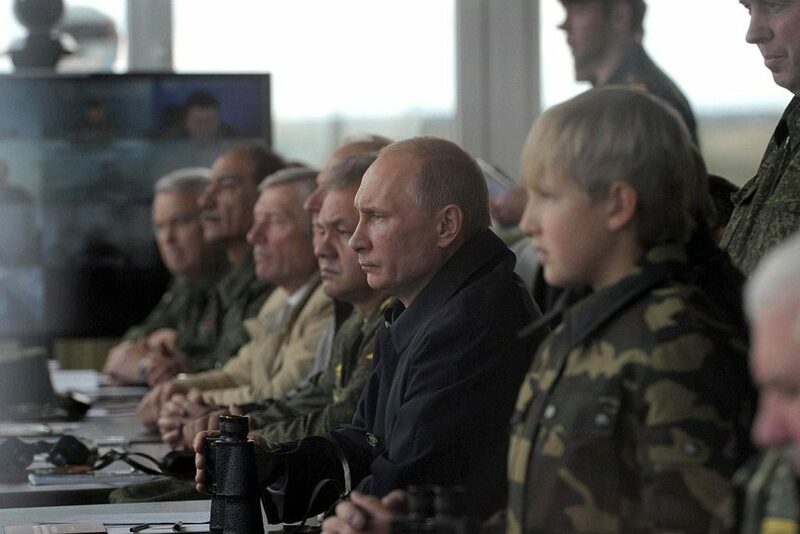 In this regard, while the Center mainly deals with coordination of information flows among relevant state structures and oversees the implementation of defence and security measures, the General Staff of Russia has maintained its dominant role in strategic planning. 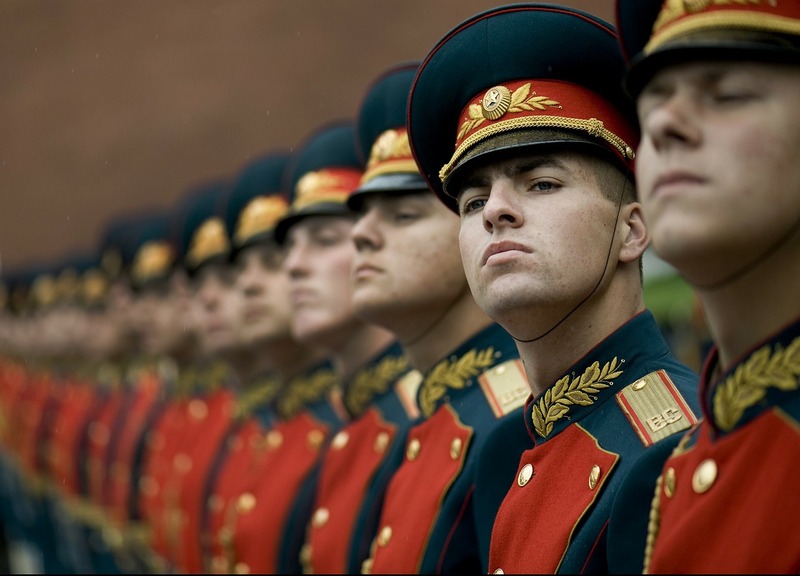 The 2008 military reform programme launched in Russia has significantly improved Russian military in terms of its overall combat preparedness, mobility, and coordination. By introducing changes to its force structure and increasing the number of large-scale strategic and snap exercises, the Kremlin has managed to improve Russia’s overall military mobility and readiness. Also, there has been significant progress in improving special operations forces’ performance for their more efficient engagement in small-scale military operations. Finally, the recent integration of information operations forces in the above military exercises and the plans to develop rapid reaction forces are the evidence of Russia’s genuine attempt to adapt itself to the realities of modern warfare. To this end, the creation of the Russian National Defense Control Center has ensured a cohesive and well-coordinated situation assessment and development of response measures on security and military challenges facing Russia. It is also expected that the recently planned reduction of military expenditure caused by the economic crisis, will not hamper the activities aimed at improving mobility, combat readiness, and firepower.